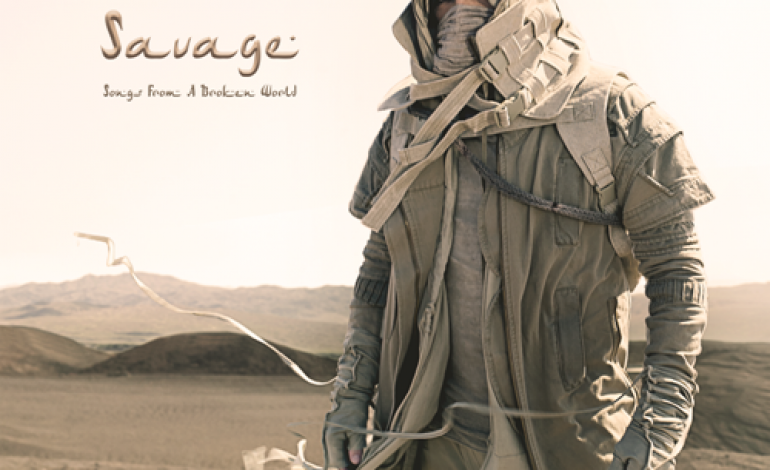 Considered by many to be one of the early pioneers of synthpop, Gary Numan released his 21st studio album, Savage (Songs From a Broken World), this past September. The UK native is not only a prominent figure in the realm of synthpop, but has also created a outstanding name for himself in alternative rock and industrial music. On his latest project, Numan builds on his foundation in synthpop and at times mixes it with edgier industrial influences. The opening song on the album “Ghost Nation” showcases industrial infused synthpop from the very beginning of the album, featuring a dark chilly sound. The song features a lot of electronic distortion of the synths which sharpen the song’s edge and interlace with powerful beat patterns. The song doesn’t come in too strong but rather builds up nicely leading to a monumental chorus. It serves as a fitting introduction to the rest of the project. The next track, “Bed of Thorns,” carries a slightly different tone. On this track listeners can hear Numan draw the industrial influences back a bit, eliminating most of the distortion present on the opening track and going for a much more melodic sound. The vocals on this track sound absolutely epic over the beautiful synths. The song also has an Eastern music feel to it which fits nicely with the rest of the song. Next, Numan jumps right back into his edgy industrial tinged synthpop on the track “My Name is Ruin.” Again he makes heavy use of distortions and powerful drum beats. This is combined with the Eastern music qualities present on the previous track which make for a really unique sound. The vocals on this track have a lighter airy tone to them, creating a nice effect alongside the much thicker synths and booming drums. For the next couple of tracks, Numan sticks more to a lighter, more melodic kind of sound. Both “The End of Things” and “And It All Began With You” feature lulling melodies and completely abandons the thick industrial sound present earlier in the album. This allows for Numan’s vocal talent to stand out much more, his powerful vocals intertwining nicely with the beautiful melodies. The following track, “When The World Comes Apart” gets back to the industrial influences and features thick distorted synths. While it does maintain a certain level of edginess to the sound, it is not as dark as some of the earlier tracks. Another highlight of album comes a couple of tracks later on the song “What God Has Intended” which also has a lighter, more melodic nature to the sound. The song does make use of distorted synths but carries and almost ethereal like sound behind Gary Numan’s dream-like vocal. This album is truly a gem in the long career of Gary Numan. The album not only shows why he is a pioneer in the genre of synthpop, but also how he has influenced other genre’s as well. Truly an all around great album.